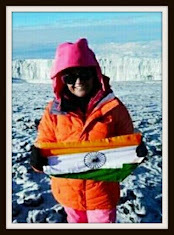 a) Retired government official with a minimum of 10 years of experience at joint secretary level or above. 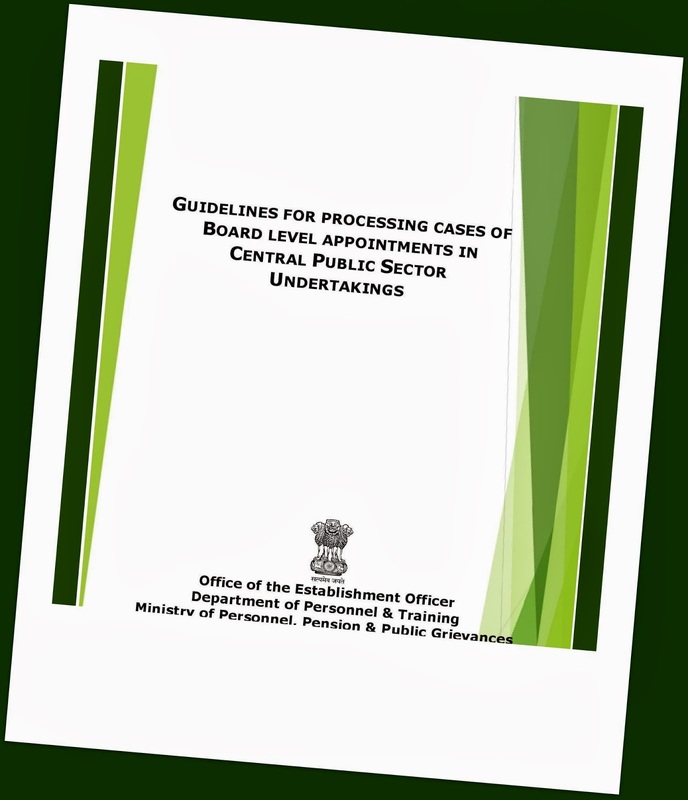 b) Persons who have retired as CMD or CEOs of CPSEs and functional directors of the Schedule ‘A’ CPSEs. The ex-chief executives and ex-functional directors of the CPSEs will not be considered for appointment as non-official director on the Board of the CPSE from which they retire. 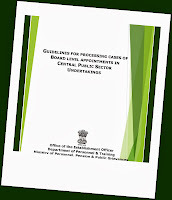 c) Serving chief executives or directors of CPSEs will not be eligible to be considered for appointment as non-official directors on the boards of any CPSE. This guideline has overruled the earlier guideline dated March 20, 1987.
d) Academicians or directors of institutes or heads of the department and professors having more than 10 years teaching or research experience in the relevant domain e.g. management, finance marketing, technology, human resources or law. e) Professionals of repute having more than 15 years of relevant domain experience in fields relevant to the company’s area of operation. f) Former CEOs of private companies if the company is (a) listed on the Stock Exchanges or (b) unlisted but profit-making and having an annual turnover of at least Rs 250 crore. g) Persons of eminence with proven track record from Industry, business or agriculture or management. h) Serving CEOs and directors of private companies listed on the Stock Exchanges may also be considered for appointment as part-time non-official directors on the Boards of CPSEs in exceptional circumstances. i) The age band should be between 45-65 years. This could, however, be relaxed for eminent professionals, for reasons to be recorded, being limited to 70 years. j) One person will not be appointed as non-official director on the Board of more than three CPSEs at the same time. And then, a person being considered for appointment as non-official director in the Board of a CPSE should not hold directorship in more than 10 private companies, according to a circular dated July 22, 2013.